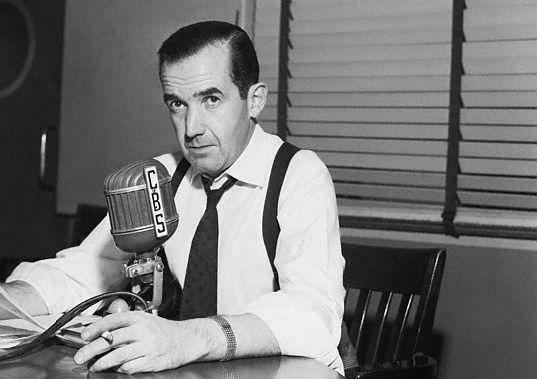 Despite what the picture may lead you to believe, I haven't been interviewed by Ed Murrow. No, people, it was Johannes Göransson who did the interviewing. Johannes is an interesting guy, and I think we're the only two people concerned with contemporary poetry who have lived in both Lund, Sweden and South Bend, Indiana. He asked me about poetry, the public sphere, and the politics of obscurity, among other things. Anyone fool enough to want to read my answers can do so over at The Argotist. They also have more interesting interviews, with Charles Bernstein, Iain Sinclair, Marjorie Perloff, and Andrea Brady, among others.